PlayOJO Blog: How Do Online Slot Machines Work? Are you a slots lover who loves to razz up the reels? Then maybe you want to know how online slot machines work. There are a lot of myths that players often believe about online slots, with many players suggesting some slots are fixed. Many slot players spin the reels in the hope to win a fortune without knowing how they operate. Well, let me fill in the gaps. How are slot machines programmed? EVERY online slot game uses a random number generator computer which creates random sequences every millisecond to ensure that every slot is fair and not fixed. This random number system is built into all slots and all licensed casinos, ensuring a fair playing experience. As it’s completely random, the previous spins won’t have anything to do with the winning sequence. If a slot has recently paid out a jackpot, it will still have the same odds of paying if the jackpot was never triggered – slots have no memory. It’s like flipping a coin, just because you’ve flipped heads ten times in a row, doesn’t mean tails is likely to land on the next flip! Your luck is determined by mathematical equations, the moment you spin the reels, what colourful symbols appear next will be down to that RNG. Hopefully, this clears things up! Where do slot games come from? Online slots are developed and built by gaming providers, that’s why many online casinos host the same selection of games. Gaming providers such as Microgaming, NetEnt, NextGen and WMS are some of the most recognized slot developers in the industry, having built many successful titles including Starburst, Mega Moolah and Gonzo’s Quest. Here’s a tip: Most online casinos share the same games, right? So why would you play at any other casino when www.playojo.com gives you money back on every bet, win or lose with no restrictions? It makes OJO sense, doesn’t it? How do you win on online slots? Play your slot games at PlayOJO because you get money back on every bet, win or lose. No other casino does that. So, you may as well take advantage of this amazing benefit if you’re a slots player, right? Look for the highest payout percentage. These can vary but are usually around the 90% mark but can go up to 97% so keep an eye out for those. The higher the payout percentage, the better your return for money. Read the rules/playing guide. Check out the slots guide (if there is one) before you play so you know what symbols/paylines etc to look out for. This guide will also tell you how to trigger the bonus features where the biggest payouts usually are. Know the promotions and offers. 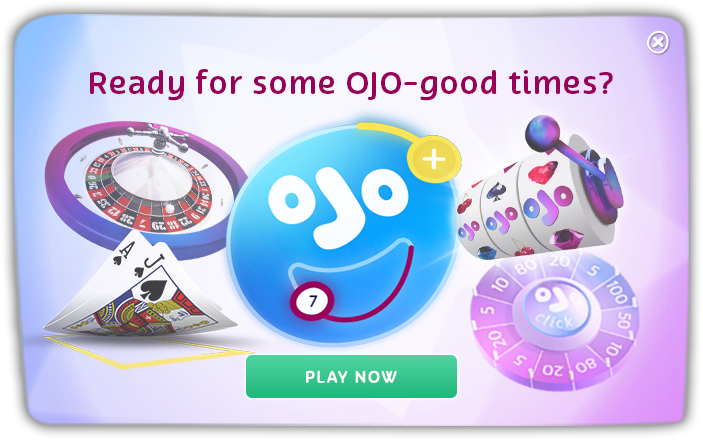 Good news, OJO offers plenty of Free Spin rewards and these are paid in cash with no wagering requirements. Anything you win from the Free Spins can be withdrawn as cash! Consider playing the maximum coins, this is because you may not be eligible for the jackpots or bonuses. If the coin value is too much then maybe it’s worth spinning another slot with a lower max bet. Want to play for longer? Then stick to single paylines. If you like to extend playtimes then play across a single line, you could still trigger the top win too! Have good money management – Always stay in control of the bankroll. Keep track of your spend and consider setting limits. There are a lot of myths surrounding certain casino games, including online slot machines. Some players think they have a concrete strategy for winning online slots but there is no such thing. There is no wagering system which will allow players to consistently beat the house edge. There are ways to play smart but it all down to the luck of the spin. Some players will say that certain games at certain casinos are fixed but this is not true. Online slot machines hosted on licensed online casinos cannot be fixed. Another myth is that casinos can alter payouts and other factors remotely, online casinos have no control over games as they are built, developed and provided by third-party gaming companies. THERE ARE NO TRICKS IN THESE HALLOWEEN TREATS!